Medical coders often serve as the gatekeepers of compliance and quality for healthcare organizations. Errors and mistakes can result in denials, delayed payments, or even put an organization at risk for receiving improper payments. 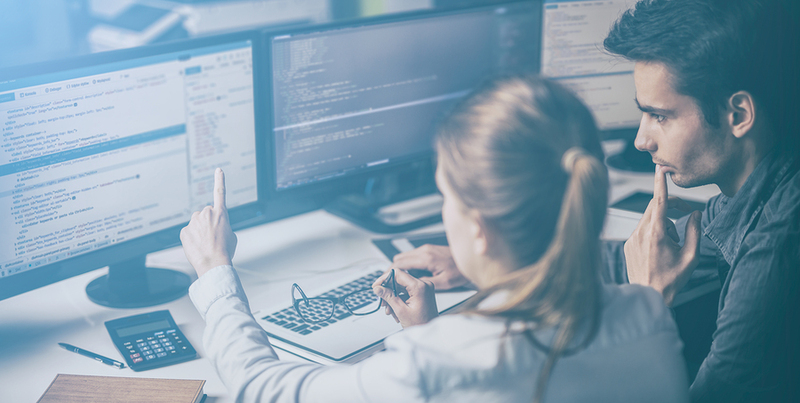 Coding can often involve a complex process and finding a coder with the right combination of skills can be difficult, especially in today’s changing healthcare landscape. Below are four traits we see in every successful medical coding auditor. What Makes a Good Medical Coder? Certified. While most coders have a robust knowledge of medical terminology and anatomy, a certified medical coder is able to demonstrate that he or she has the tenacity to obtain the credentials necessary to perform coding tasks. Several organizations offer — and most employers require — coders to hold a certification. Coders can achieve certification through a combination of education, professional experience in a specialty area, and examination. Coders can receive credentials through organizations such as The American Health Information Management Association (AHIMA) and American Academy of Professional Coders (AAPC). Detail-Oriented. In the world of medical coding and billing, the smallest details can make a big difference. For example, according to Centers for Medicare & Medicaid Services (CMS) Place of Service Codes for Professional Claims, a code of “25” equates to a Birthing Center. If those numbers are mistakenly transposed to “52” the code refers to a Psychiatric Facility – Partial Hospitalization. The difference of one number affects the entire claim. Medical billing and coding specialists must be diligent in their study of codes to perform their work in an accurate and timely manner. Knowledgeable. Coders must be knowledgeable about a variety of codes and coding options. CMS uses the American Hospital Association (AHA) Coding Clinic — an official source for coding direction and is the result of the work of four cooperating parties: AHA, AHIMA, CMS, and National Center for Health Statistics (NCHS). In medical billing and coding programs, coders learn about the International Classification of Diseases (ICD-10) system as well as the Current Procedural Terminology (CPT) system. But, what happens when these codes are changed or revised? Medical billing and coding specialists must take it upon themselves to maintain industry knowledge and to seek opportunities to remain current in their knowledge of coding standards and practices. Problem-Solver. It is important to remember coded data has a direct impact on patient care, and is also translated into quality reporting, reimbursement, public health data, and disease tracking and trending. In a world where healthcare codes are expanding and ever-changing, mistakes can happen. It is the responsibility of the medical coding auditors to maintain the quality and integrity of Electronic Health Records (EHR) and medical billing. Coders should exercise their experience and knowledge to accurately and objectively represent the issue, and effectively communicate with the provider or health care organization to resolve it. Medical coding auditors possessing these four traits, can help to protect the compliance and quality of a healthcare organization’s billing and overall operations, positively impacting patient care.